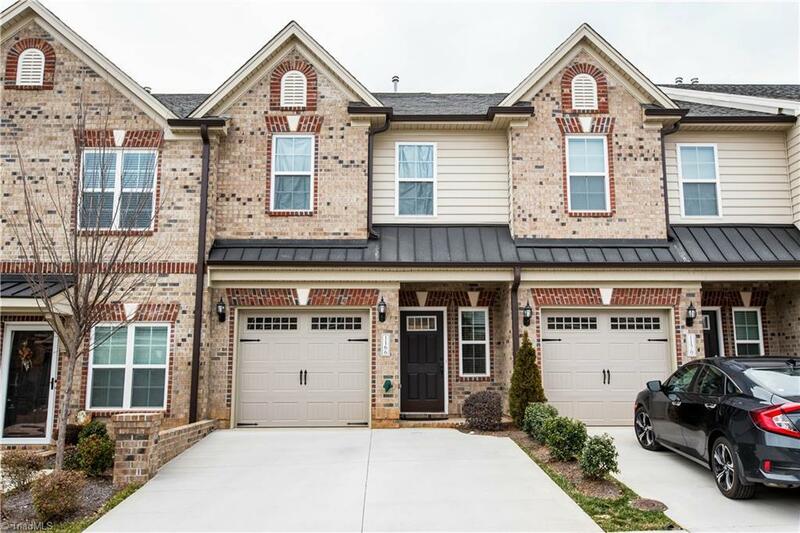 This beautiful townhome features hardwoods on the main level which lead into a gracious size eat-in kitchen w/ granite countertops, SS appliances & plenty of countertop & cabinet space.Large LR w/an upgraded gas stone fireplace. Extra builder upgrades and extra upgraded lighting package!Upstairs features large bedrooms, master w/ vaulted ceilings & large WIC.The additional room makes a great space for an in-home office or if needed another bedroom. Fenced patio area.LARGE neighborhood pool w/ clubhouse. Sold by Legacy Realty Nc.